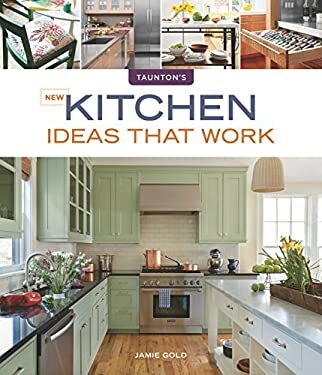 Ask homeowners to identify the hub of the home and they'll say, "the kitchen " This completely revised edition of "Kitchen Ideas that Work"--the consummate resource for kitchen redesign--features over 350 ideas with 350 photos for a facelift or full-throttle redo of a range of kitchen styles and sizes. From the latest information on energy-efficient appliances and lighting, to cabinetry and flooring, this amazing sourcebook will help homeowners make smart choices about what they want, and what they can afford, in a kitchen transformation. Packed with accessible solutions, practical advice, tangible tools, and a heap of inspiration, "New Kitchen Ideas that Work "is as essential to homeowners, designers, and contractors as the kitchen itself is to the core of the house.